In the AARP Public Policy Institute survey, more than half of the 1,600 interviewed caregivers admitted having problems with operating technical equipment, and more than a third struggled with monitors that measured sugar, oxygen, and blood pressure. Overall, family caregivers share a common worry: making a critical mistake when it comes to the care of their loved one. Without a professionally trained caregiver and reliable homecare system to track important daily tasks, simple medical concerns can often escalate into serious issues. A typical family caregiver receives little to no technical training for life-sustaining treatments, yet they are often called upon for such services anyway. Responsibilities of care can easily become overwhelming, especially when duties involve more than just the basics. Fortunately, there are alternatives available. ClearCare Online’s homecare system and homecare software have been developed to help keep seniors safe and comfortable in their own homes – even when illness or disability threatens their independence. Many elderly ones can avoid being placed into a nursing home if they have a qualified caregiver monitoring their daily activities. Hiring trained caregivers also helps prevent accidents or mistakes that could potentially harm the elderly person. As mentioned earlier, family caregivers worry that their inexperience will eventually be a cause for concern. With a dependable homecare system in place and qualified caregivers taking the lead, such anxieties can be eliminated. If you or a loved one are worried about handling care, now is the time to reach out for help. ClearCare Online’s homecare software has been the solution for countless families who desire to keep their loved ones safe and healthy at home, but need assistance in doing so. Don’t wait until a critical mistake is made and then question “what if?” You can avoid unnecessarily stress and dangerous situations by sharing the burden of care with capable professionals. 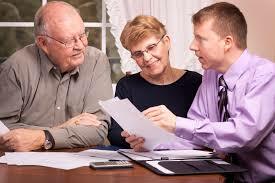 In what ways do you think a homecare system or homecare software would benefit your family? Drop us a note and join the discussion!